After WW2 and with the formation of the GDR, Russian occupying forces stressed to boost the toy industry again - Of course kids wanted nothing more than normality again after the war had ended. After this senseless war had ended, companies for armament and war production were forcibly disowned within the Russian occupied zone. As of 1946 the so called Liefergenossenschaften, short ELG were founded. These had the privilege to receive material first. GDR (German Democratic Republic) - this meant also socialism and the attempt for planned economy. When the state controlled - planned economy started, the free development was reduced to zero. So called VEBs, national controlled enterprises were established, which were preferably sponsored. 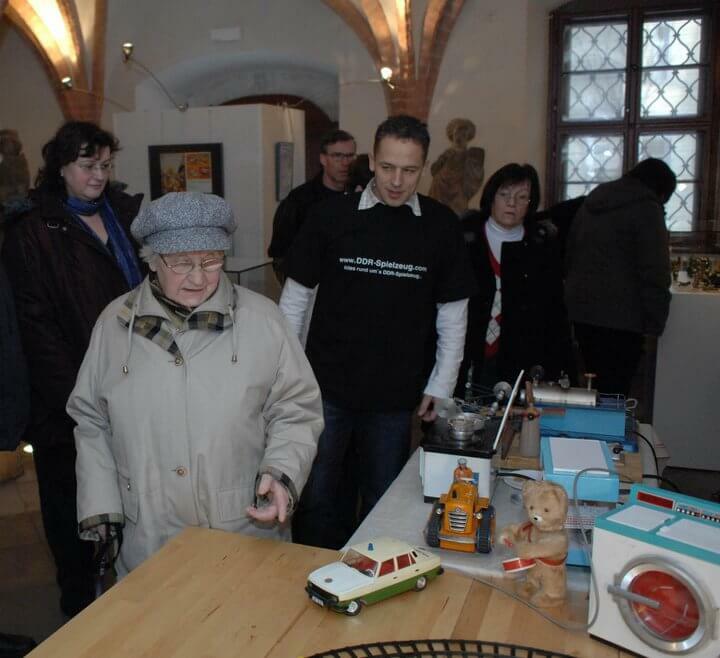 Dissatisfied entrepreneurs left the GDR. Left behind companies were then nationalised. 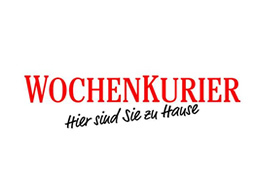 One example is the company Max Karl Judenbach which was restructured to VEB Mesju Mechanische Spielwaren Judenbach. The state "bought" itself more into private companies. The owner was now left as unlimited partner or head of the company. As of 1950 producers' cooperatives were founded, short PGH. The pressure of competition was in the planned economy advertising none existent in contrast to the free enterprise, but distorted the growth. The results were long development times and the partial standstill of innovations. Because of the very poor development, toys could not compete in the world market anymore as of middle 1950. The industry now tried to restructure and avoid double-developments. From the 70s private companies were put under pressure even more and nationally controlled enterprises (VEB) further sponsored. Similar firms were put together in to so called combines. 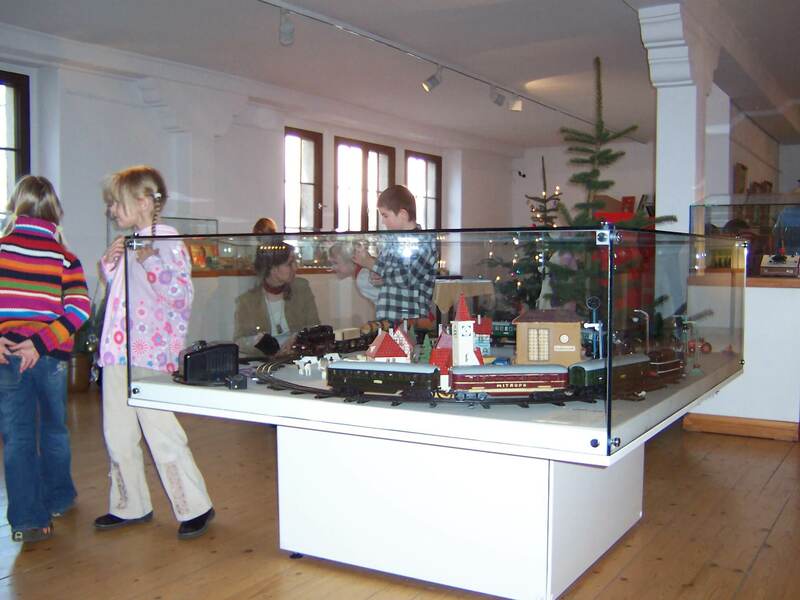 One example is the VEB Modell und Plastspielwarenkombinat Annaberg Buchholz or the VEB Kombinat Puppen und Plüschspielwaren Sonni Sonneberg. The GDR government did try to cover the demand of its nation but sadly only achieved it moderately. To get foreign exchange the export was also very important for the GDR that's why business on exhibitions in Leipzig and Nuremberg were centrally handled, lead by the Demusa, nationally owned foreign trade company of the GDR. Contact with foreign customers was only made possible to so called travel cadres, which made contact to the actual producers impossible. But GDR toys were also popular in the non-socialistic foreign countries, especially as it was cheap and that's how export into socialistic and non-socialistic countries was common. France, BRD (West Germany), Italy, Belgium and the Netherlands to name only a few. 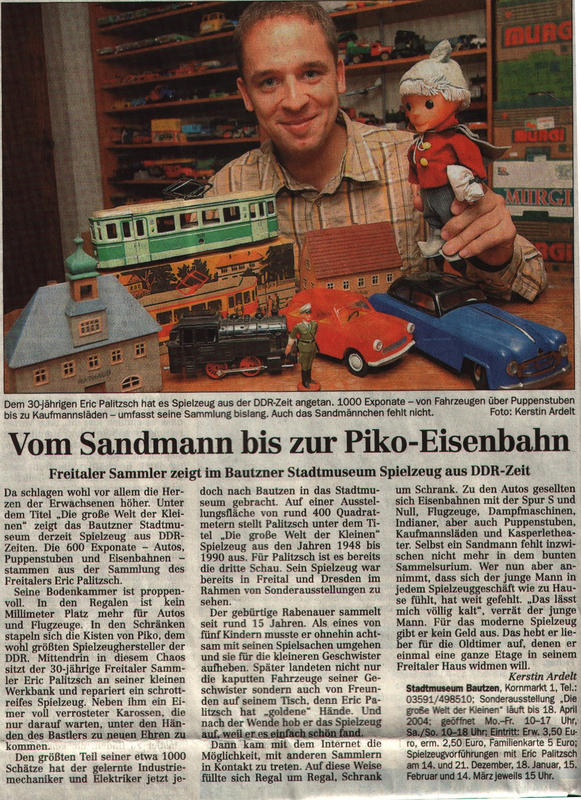 Our Conclusion: Toys made in the GDR, their developers and producers are representing a piece of the German Past and industrial History and should be protected for generations to come! 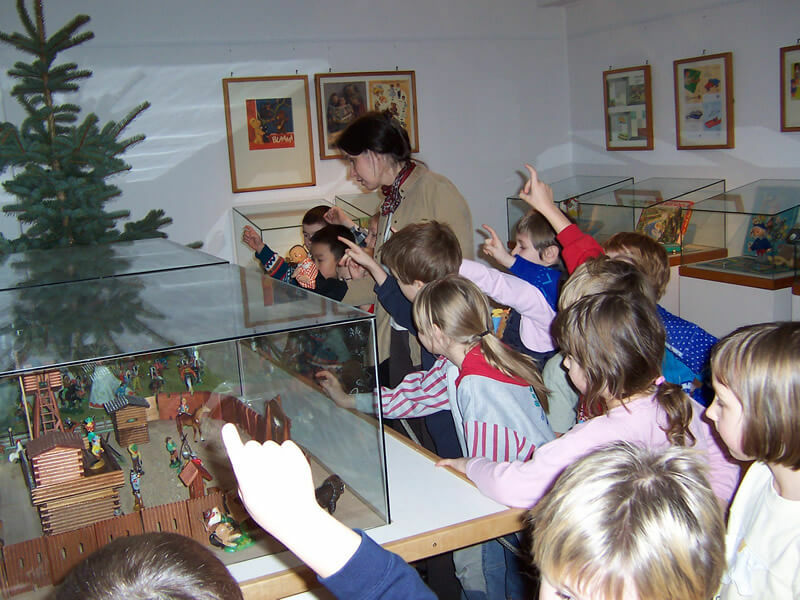 (the historical and museum-processing is an ongoing process - we understand ourselves as hobby-historians and are always interested in new information around the GDR-toys. The here shown refers to external sources as well as own mindset. Please leave us your feedback. 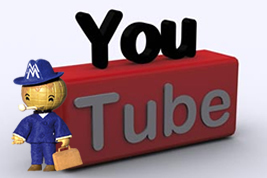 We are always grateful for suggestions and tips. Please fill in the fields and we will get back to you shortly. The collection has "grown" since the last 3 decades - which means, it consists not only of GDR-toys but for example their packaging, information, advertising, catalogues, basically everything with regards to them. From A in aeroplane via steam machines, boats, doll houses, educational toys, small toys, tin toys, bulldozers, cars, building sets, games and many more but basically the complete toy range for the whole family can be found here! 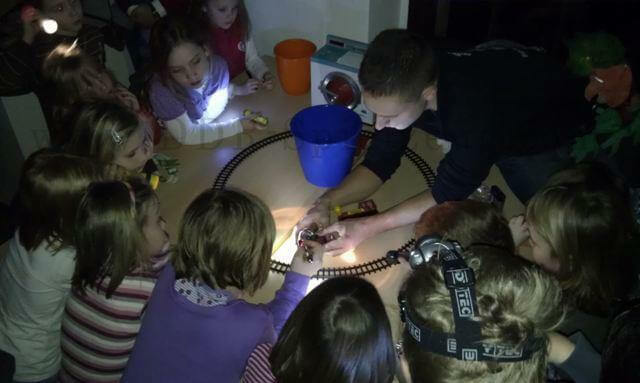 The toys were manufactured all over Eastern Germany but specifically in Thuringia, Saxony but also Brandenburg from companies like Sonni, PrefoDresden, MSB Mechanische Spielwaren Brandenburg, MSW Mechanische Spielwaren Weimar, VEB Piko Mechanik, Vero Olberhau EKT Dresden but also Max Carl Judenbach Mes Ju, Linol Dresden, Zeuke Berlin... to name only a few. 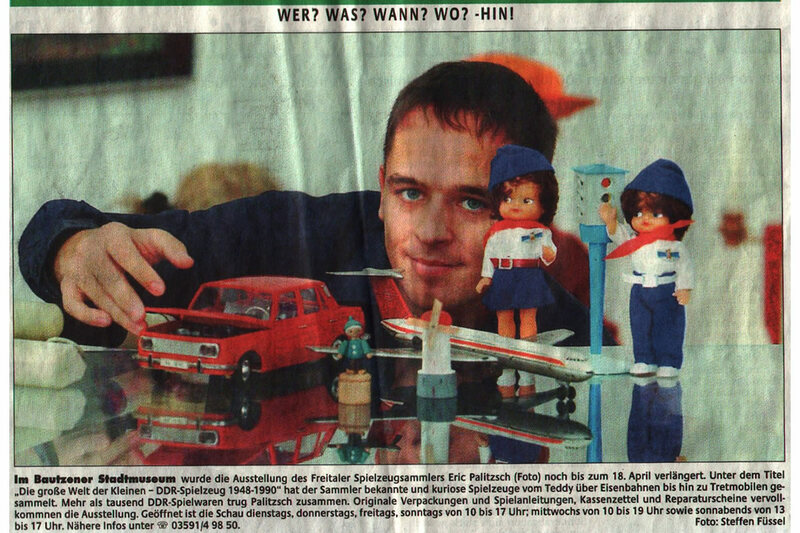 My hobby is collecting all kinds of toys from former East Germany (GDR). Authenticity and bringing the toys "back to life" is very important for me. How does one start a hobby like this, one could ask? I hear this question a lot. Well, as it happens with many collectors, you just keep hold of things. There is the interest for all kinds of things and with time it gets more and more..... the same has happened to me. Some toys are from my own childhood or my siblings'. 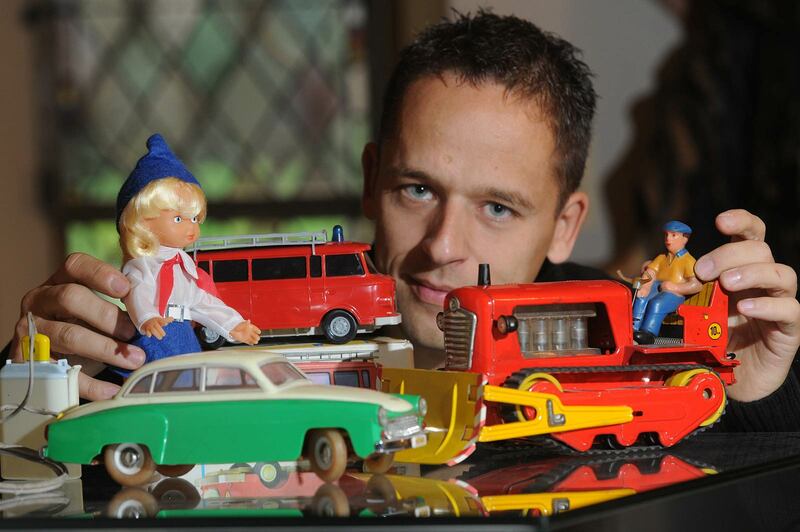 In GDR toys often used to be kept in families for generations or had been passed on and therefore survived many years. As we were 5 kids at home I used to have more time with toys. I also had two much younger brothers and if toys broke, they ended up with me for repair, or I wanted to "obtain" my siblings presents in form of toys.... With the end of the GDR my siblings had the desire for other toys. The toys all for a sudden gone unnoticed. East Germany dissolved - disposed of.... All for a sudden, there were East German toys in the shops which I could never get hold off as a child. That's how I started collecting. 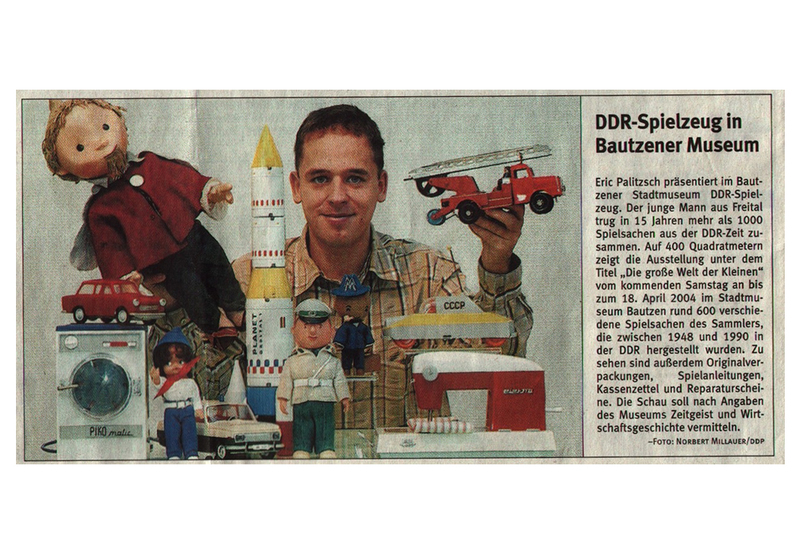 In the beginning it was only collecting mechanical GDR-toys, then I expanded to the whole GDR-toy-portfolio. 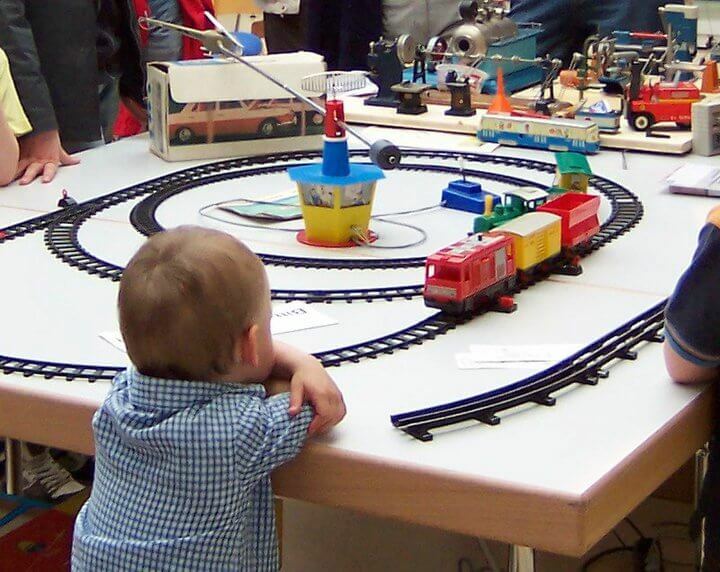 From toy cars to board games, everything came together. GDR is now history. My/our collection has for sure got no political background! But if you look closer and question it, the toys can tell many stories. 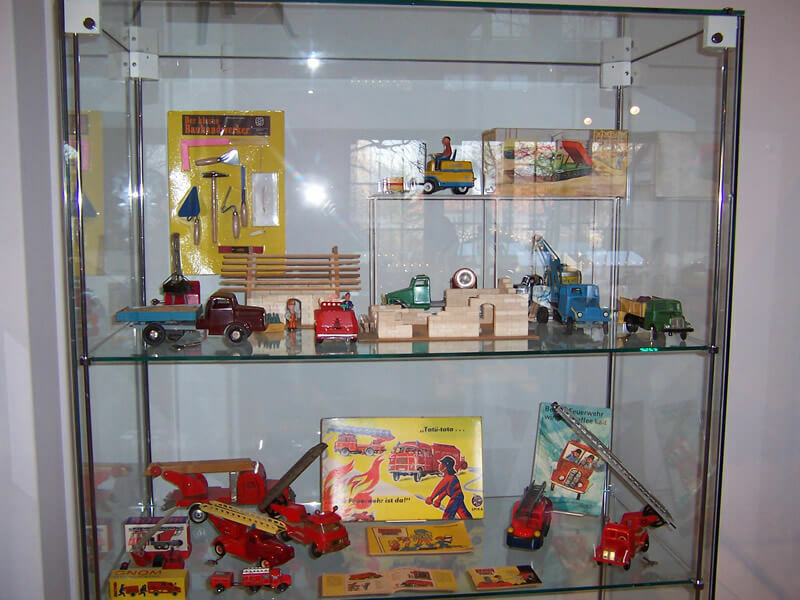 40 years of GDR-toy history is a completed collection and with it, a testimonial and part of a history, which, in my opinion, should be kept safe for generations to come. 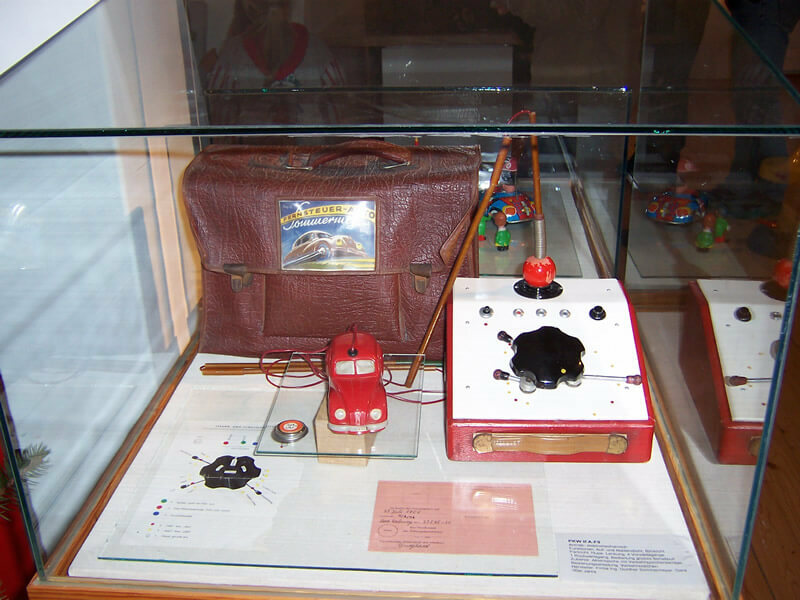 Why not start a time-travel, maybe you will find your favourite toy or have a look at toys, made in GDR you have never seen before in our GDR-toy-gallery. Have fun and many thanks for visiting. If you like it, please pass it on! If you dont, please let me know. 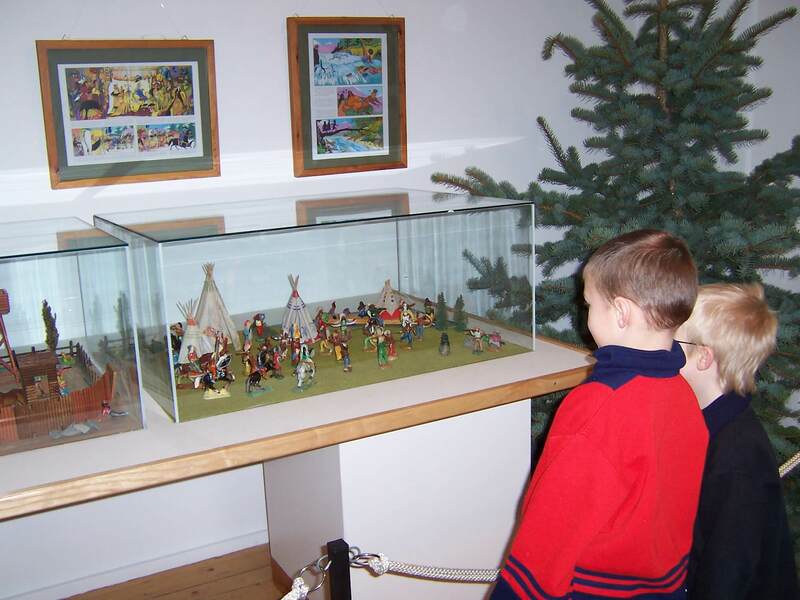 EXHIBITION: Winter exhibition "Wild West in the nursery"
(25 years ago in November the inner German border was removed. 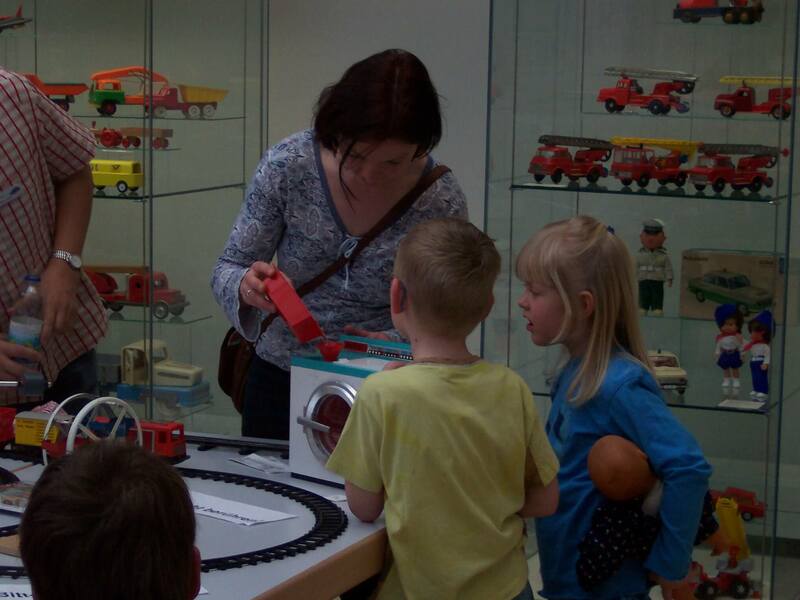 Because of this, the toy museum Nuremberg presents an insight into the variety of the former East German toy-history. Important manufacturing centres of the centuries old toy production of Germany were situated in the "East", were they went through a variety of developments. 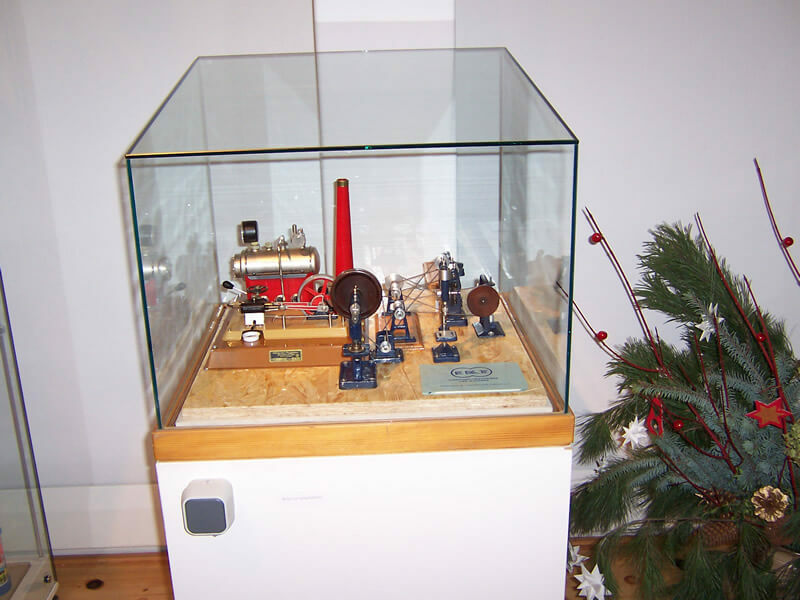 We also have the wish and the intend to exhibit our toys - which tells part of the German history - industrial history - permanently! Would you like to support us? We are working on the concept. Have you got ideas? - Please get in touch! We welcome suggestions and information! 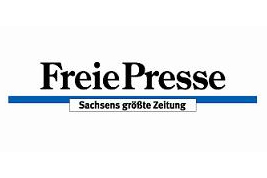 Freie Presse Alle Rechte an den Artikeln sind den jeweiligen Zeitschriften oder Medienvertretern zugeschrieben. 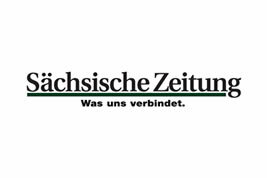 Sächsische Zeitung Alle Rechte an den Artikeln sind den jeweiligen Zeitschriften oder Medienvertretern zugeschrieben. Dresdner Neuste Nachrichten Alle Rechte an den Artikeln sind den jeweiligen Zeitschriften oder Medienvertretern zugeschrieben. Wochenkurier Alle Rechte an den Artikeln sind den jeweiligen Zeitschriften oder Medienvertretern zugeschrieben. 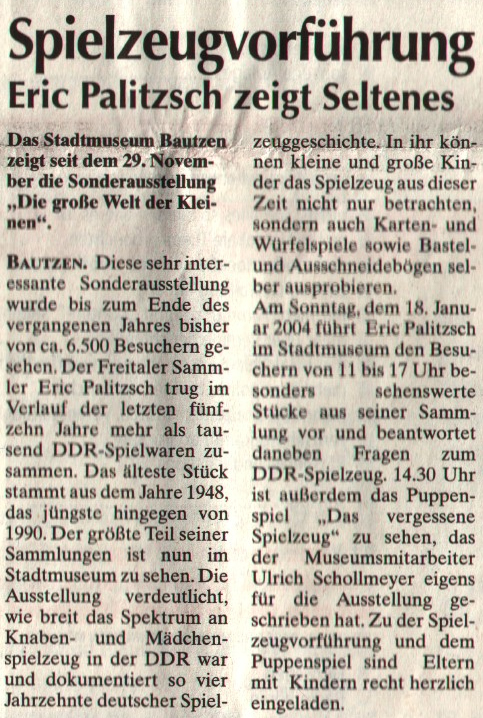 der DDR Spielzeug Kasper bekommt ein Westpaket Der DDR Spielzeug Kasper bekommt Post, ein Westpaket ;-) aber doch ausn Osten ? Aber was ist drin?